The very nature of military service often compromises the ability of service members to fulfill their financial obligations and to assert many of their legal rights. Congress and the state legislatures have long recognized the need for protective legislation. During the Civil War, the United States Congress enacted an absolute moratorium on civil actions brought against Federal soldiers and sailors, and various southern states enacted similar legislation. During World War I, Congress passed the Soldiers' and Sailors' Civil Relief Act of 1918. The 1918 statute did not create a moratorium on actions against service members, but it directed trial courts to take whatever action equity required when a service member's rights were involved in a controversy. In 2003, the Soldiers and Sailors Civil Relief Act was completely re-written and re-named the Service Members Civil Relief Act. The bill was signed into law by President Bush on December 19, 2003. This is the law that now governs legal protections for members of the United States Military. Reservists and members of the National Guard (when in active federal service) are also protected under the SSCRA. SSCRA (for all) begins on the first day of active duty, which means when the person ships out to basic training (Basic Training and job-school are considered active duty for Guard and Reserve personnel, as well as active duty personnel). Some protections under the act extend for a limited time beyond active duty discharge or release but are tied to the discharge/release date. Additionally, some of the Act’s protections extend to the members’ dependents. National Guard members recalled for State duty are also protected by the Service Member's Civil Relief Act in certain circumstances. National Guard members are entitled to SCRA protection when called to state active duty under Title 32, if the duty is because of a federal emergency, the request for active duty is made by the President or Secretary of Defense, and the member is activated for longer than 30 days. An example of this would be the National Guard members who were activated by the states, at the request of the President, to provide security for airports after 9-11. The SCRA allows individuals to break a lease when they go onto active duty if the lease was entered into before going on active duty. Additionally, the act allows a service member to terminate a residential lease entered into while in the military if the member receives permanent change of station (PCS) orders, or orders to deploy for a period of not less than 90 days. This protection covers "lease of premises occupied, or intended to be occupied, by a service member or a service member's dependents for a residential, professional, business, agricultural, or similar purpose." To break a lease under these provisions, the service member must make the request in writing and must include a copy of their orders (orders placing them on active duty, PCS orders, or deployment orders). The member may deliver the notification by hand, by commercial carrier, or by mail (return receipt requested). The termination date for a lease that requires monthly rent, the earliest termination date is 30 days after the first date on which the next payment is due, following proper notification of termination of lease. For example, if Sgt John pays his rent on the first of every month, and he notifies his landlord (and gives the landlord a copy of his orders), on the 18th of June, that he wishes to terminate the lease under the provisions of the SCRA, the earliest termination date August 1 (the next rent is due July 1, and 30 days later is August 1). If it's some other arrangement, other than monthly rent, the earliest termination of the lease is the last day of the month, following the month in which the notice is given. So, if notice is given on June 20, the earliest termination date would be July 31. I'm often asked, "What if there are other people on the lease? Who has to make up the rent?" Not the landlord, that's for sure. Also, not the service member. The SCRA is silent in this area. In most states, the burden would likely fall on the remaining roommates. They would either have to make up the military member's share of the rent or find another roommate. The SCRA gives the military member the right to terminate his/her own portion of the lease early, but the law does not require the landlord to decrease the amount of total rent for the property, nor does the law protect remaining non-military roommates (unless, of course, they are the member's legal dependents). Military members may also terminate automobile leases in certain circumstances. Just like with residential leases, if a member enters into an automobile lease before going on active duty, the member may request termination of the lease when he/she goes on active duty. However, for this to apply, the active duty must be for at least 180 continuous days. So, if a person joined the Reserves, and had orders for basic training and technical school, the total of which was only 120 days, he/she could not terminate the automobile lease under this act. Additionally, military members making a permanent change of station (PCS) move, or who deploy for 180 days or longer may terminate such leases. The act specifically covers "lease of a motor vehicle used or intended to be used, by a service member or a service member's dependents for personal or business transportation." To terminate the lease, the member must make the request in writing, along with a copy of orders. The member may deliver the notification by hand, by commercial carrier, or by mail (return receipt requested). Additionally, the member must then return the vehicle to the lessor within 15 days of delivery of the termination notice. The lessor is prohibited from charging an early lease termination fee. However, any taxes, summonses, and title and registration fees and any other obligation and liability of the lessee in accordance with the terms of the lease, including reasonable charges to the lessee for excess wear, use and mileage, that are due and unpaid at the time of termination of the lease shall be paid by the lessee. The service member may seek protection from eviction under SSCRA. The rented/leased property must be occupied by the service member or his/her dependents for the purpose of housing, and the rent cannot exceed $2,400 (for 2004 -- the actual amount is automatically adjusted each year, by the inflation rate). The service member or dependent who has received notice of an eviction must submit a request to the court for protection under the SSCRA. If the court finds that the service member’s military duties have materially affected his ability to pay his rent timely, the judge may order a stay, postponement, of the eviction proceeding for up to 3 months or make any other “just” order. The SCRA gives certain protections against repossessions for installment contracts (including automobile leases). If the contract was entered into before going on active duty and at least one payment was made before that time, the creditor cannot repossess the property, while the member is on active duty, nor can they terminate the contract for breach, without a court order. 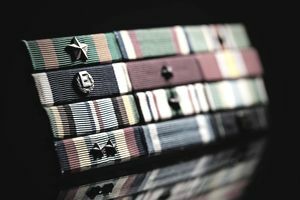 Qualifying debts are debts that were incurred by the service member, or the service member and their spouse, jointly, before coming on active duty. Debts entered into after going on active duty are not so protected. Notice that this particular provision of the act only applies if a service member's military service affects their ability to pay. However, the burden is on the creditor to seek relief in court if the creditor believes that the service member’s military career does not materially affect his/her ability to pay. The creditor must comply unless he/she gets a court order stating otherwise. In order for an obligation or liability of a service member to be subject to the interest rate limitation, the service member must provide to the creditor written notice and a copy of the military orders calling the service member to military service and any orders further extending military service, not later than 180 days after the date of the service member's termination or release from military service. Upon receipt of notice, the creditor must reduce the interest rate to a maximum of 6 percent, effective the first day of active duty (even if the servicemember makes the request at a later time). The law unambiguously states that no interest above 6 percent can accrue for credit obligations while on active duty (for debts incurred before going onto active duty), nor can that excess interest become due once the service member leaves active duty (that was a "trick" some creditors tried under the old law) – instead that portion above 6 percent is permanently forgiven. Furthermore, the monthly payment must be reduced by the amount of interest saved during the covered period. The servicemember submits a letter or other communication from the servicemember's commanding officer stating that the servicemember's current military duty prevents appearance and that military leave is not authorized for the servicemember at the time of the letter. The provision applies to civil lawsuits, suits for paternity, child custody suits, and bankruptcy debtor/creditor meetings, and administrative proceedings. The new act specifically states that a servicemember communicating with the court requesting a stay does not constitute an appearance for jurisdictional purposes and does not constitute a waiver of any substantive or procedural defense (including a defense relating to lack of personal jurisdiction). Under the old act, some courts held that merely communicating with the court (i.e., requesting a stay, implied that the member agreed to jurisdiction of the court). A service member who is granted a stay may request an additional stay if he/she can show that military requirements affect his/her ability to appear (commander's letter is also needed). However, the court is not obligated to grant the additional stay. If the court refuses to grant an additional stay of proceedings, the court must appoint counsel to represent the service member in the action or proceeding. the service member has a meritorious or legal defense to the action or some part of it. A service member or dependent may, at any time during his/her military service, or within 6 months thereafter, apply to a court for relief of any obligation or liability incurred by the service member or dependent prior to active duty or in respect of any tax or assessment whether falling during or prior to the service member’s active military service. The court may grant stays of enforcement during which time no fine or penalty can accrue. Additionally, the act prevents service members from a form of double taxation that can occur when they have a spouse who works and is taxed in a state other than the state in which they maintain their permanent legal residence. The law prevents states from using the income earned by a service member in determining the spouse’s tax rate when they do not maintain their​ permanent legal residence in that state.